Cheap flights from Rome to Port Louis, Mauritius from €440 return! Many cities in France to Brazil (Fortaleza, Belém, Natal, Salvador da Bahia) from €366! SkyTeam carrier Kenya Airways offer another great solution from Europe to tropical Mauritius! This time travelers in Italy seeking for some exotic getaway will surely appreciate discounted flights from Rome to Port Louis, Mauritius already for €440. This is including all taxes, meals on board and hand bag as well as max 23kg bag in hold. Book Kenya Airways cheap flights with just one short layover in Nairobi and explore this legendary island in an Indian Ocean..! If interested in this discount deal with Kenya Airways you will find the cheapest flights when departing from Rome to Port Lousi in May or June or 27th of August to 23rdth of November 2019. Min stay over the weekend. Max stay 3 months but all travel must be complete by 10th of December. Unlimited free stopovers available. 23kg bag in hold in base fare. Fare class is “R“. Kenya Airways discount is available till 18th of April or until sold out..
We recommend you firstly compare the cheapest flights via Google Flights (Guide). The tool gives you almost instant result and you can easily browse throughout all the months. You can then book this deal directly with Kenya Airways or your preferred booking agent. If interested in this offer you can refer to our booking samples below. You can book your accommodation in Mauritius via Booking.com. Also you can further discount your hotel when using one of following promo codes. Booking sample of cheap flights from Rome to Port Louis, Mauritius from €440 return! 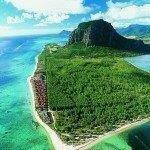 In this case you would depart from Italy to this tropical island in an Indian Ocean on Saturday, 16th of November. Inbound from exotic Mauritius back to Rome on Sunday, 24th of November 2019.